Hotel Puomi is a v15 Hotel based on Blunk v5. 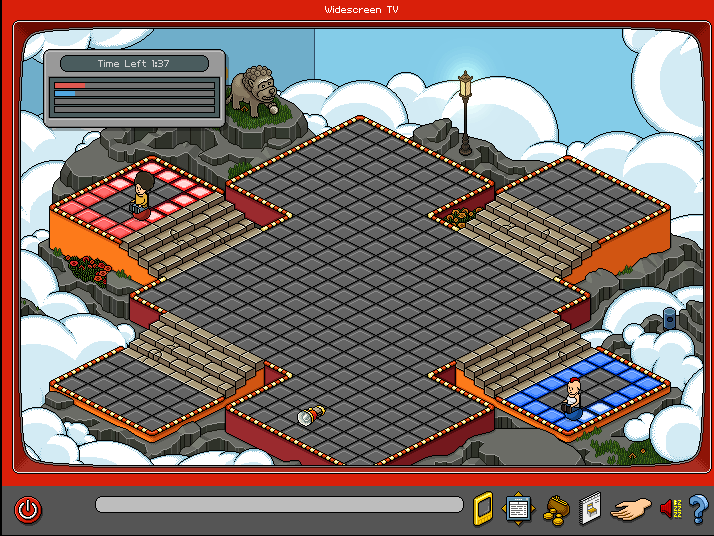 It aims to emulate Habbo v15 fully. Pale Moon (32-bit) and Shockwave Player are required to play. Last edited by Puomi; 07-08-18 at 03:40 PM. Hello. Please add the location/country of your server's host. You have 24 hours, thanks. My all time favorite hotel! I can not think of more dedicated or knowledgeable hotel owners. Been checking in seeing what was up with "Project Goulash" For anyone that doesn't know that's the codename for the server rewrite. Anyways, it was said to include battbleball and snowstorm. Well today I logged in and noticed a little update. They released a test client for the new server. Battleball is working. All maps, teams, points, lock tiles, area filling and even power-ups. It is a test client, so expect and report bugs. Last edited by Alpha Ducky; 22-07-18 at 04:16 PM. OMG! Played it and the nostalgic was real. Good job Puomi! We're glad to announce, that all Features and Games are now FULLY implemented and our server 'Luteet' is completed! It's been a long way, but we're still here, better than ever before. With the listed changes and updates below, you can now enjoy playing a fully working v15 Hotel. Thanks for all the support! - Yep, we actually did it: SnowStorm is now fully implemented! There are some maps missing and the spawn tiles aren't set properly, but they'll get added SHORTLY! Even though our Blunk based server 'Luteet' is complete, there's still one thing left to do - Project Goulash. We will port the Client to Java. Each brick, one by one. Wow guys. Thank-you for doing this! Since I've been a part of the retro community I've never seen such a great project like this. Last edited by PR0; 31-08-18 at 08:59 AM. Vivid imagination is key for building a successful game!